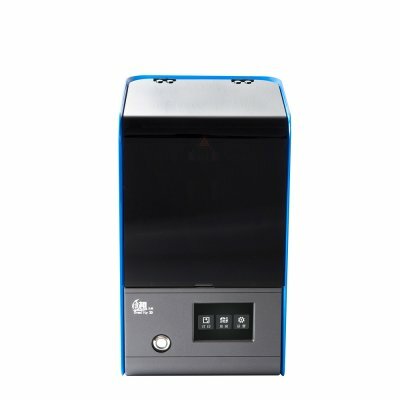 Successfully Added Creality 3D UV Resin DLP LD-001 3D Creator Slicer,3.5inch Full Color Touch Desktop Photon Prototype Dental Jewelry Design to your Shopping Cart. Desktop LCD 3D printer, more suitable for jewelry dental industry design, perfect compatible with SLC format. 3.5-inch touch screen system, support real-time preview, more intuitive for you to find the file you need. Molding size 120(L)*70(W)*120(H), assists you print many kinds of small models. High precision, fast slicing, fluent printing. and it has high stability, safer to use. source slice system on the market, while 3D Creator Slicer only takes 3 minutes. One-time molding of complex models, printing accuracy error up to 20-50 micron. The surface of the printed product is delicate and smooth, emitting resin luster.